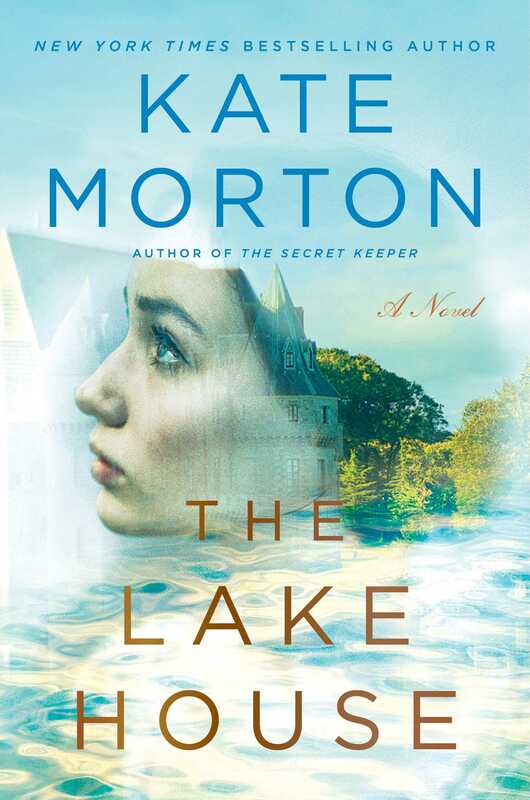 The Lake House: A Novel by Kate Morton. Atria. 2015. Library Copy. The Plot: 1933 Cornwall. A eleven month old baby disappears from his crib during a house party at an estate. He's never found. 2003. A police detective is visiting her grandfather in Cornwall. She stumbles upon an abandoned house and hears the local story: how decades ago, a child disappeared and the family left and never came back. A lost child, deep family secrets, the ties between mother and child, the choices made. And a mystery that was waiting to be solved, by the person willing to ask the right questions. The Good: I loved this book so much. It had everything I love in a book. Their are three main narrators, and two main time periods. Alice Edevane was sixteen the summer her brother Theo was taken. The summer on the Cornish estate was as magical as any Alice had ever had at the beloved family estate, Loeanneth, and even more wonderful because its the year she falls in love for the first time and the year she decides to embrace a life as a writer, and writes her first mystery. In 2003, Sadie Sparrow's visit to her grandfather isn't entirely voluntary. There were problems for a recent case involving a young mother who disappeared, and Sadie refused to believe the woman left her small child behind. When faced with the truth of the woman abandoning her child, Sadie made foolish mistakes and now is waiting in the country for things to get resolved in the city. When she starts to investigate the mystery of Theo Edevane, she finds out that the home is now owned by Alice Edevane, also known as A. C. Edevane, a famous mystery writer. After the reader encounters the young, brilliant, hopeful Alice on the brink of life, they next encounter her as woman pushing ninety, succesful, but wiser about people than she was as a child. Then there is Eleanor Edevane, mother of Alice and Theo, and her voice joins the story. The book jumps from time to time and narrator to narrator, and this flow of story is brilliant. Morton is careful about what and when she tells the reader, but part of the reason is because each person knows only their own story and is limited to their own impressions, their own memories, their own knowledge. As a mystery, Morton deftly guided me so that I was guessing "who" or "what" or "why" just pages ahead of Sadie, so that I felt as clever or more so than Sadie. And then, with Sadie, realized when I was wrong, because I learned something new. The Lake House is a mystery, but it's also a story of family. Of the brilliant Edevanes who at first seem like something out of a PBS Miniseries. The family had once had a grand house, and Loeanneth, grand as it seems, is the small house that is all that is left of that manor. The house is important to Eleanor and her husband, Anthony; to their children, Deborah and Alice and Clemmie and Theo; and part of the punch in the gut tragedy of the present is how the house was abandoned after Theo's disappearance. Pull back, and it's more than a handsome couple and their beautiful children and the fairy tale estate. Fairy tale in part because the child Eleanor inspired a beloved children's book. But no fairy tale is all sun and sunshine. As Sadie delves further into the past, as Alice reexamines her own memories and impressions, and as Eleanor steps forward and shares her story, secrets are uncovered. Because as anyone who does the math can figure, the Great War had ended just 15 years before. And what was the far away past to a sixteen year old Alice was very much part of the lives of her parents. I don't want to give too much away, because as I said part of the joy of this book is the structure of what is revealed when and why and how. I will say this about those reveals. They aren't "aha" moments of crimes and terrible deeds. Rather, they are about perspective and knowledge. Eleanor's children see her as a certain type of mother, and their father as certain type of man, and yes -- the father is the favorite. As the story unwinds, it becomes clear that part of this is because Eleanor did what was necessary to give her children a safe, happy, childhood, at any cost. And she was so good that Alice, decades later, still didn't quite realize what her mother had done -- how her memory of a wonderful, carefree day was, to her mother, a day fraught with danger. One of my Favorite Books of 2016. I now want to read all of Morton's books. I get such a kick out of Kate Morton! Her early books have a few mannerisms that can get annoying, but it seems like she's mostly broken herself of them. And I love how her books are all about family secrets and mysteries -- can't get enough of that stuff.